Don’t freak. We are not talking about getting all muscled-up like Arnold Swarzenegger. 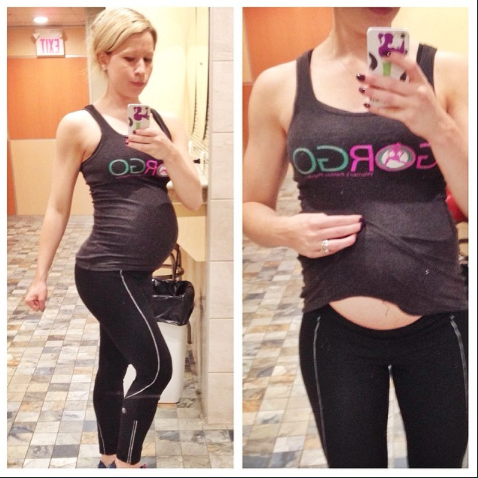 But did you know that pregnant women are the world’s most natural bodybuilder? You are literally building a body inside of you! From toes that wiggle, a heart that beats and eyes that blink, you are constructing another human from the inside out. Any traditional bodybuilder will tell you that it’s their nutrition and exercise choices that shaped their end result. And while all the recent studies will point to the benefits of exercising and eating well during pregnancy, this knowledge was woven into the ancient Greek Spartan culture over 2000 years ago. The Spartans believed that strong women produced strong heirs, and therefore actually encouraged their girls to train alongside the boys. That’s 2000 years ago and yet today we too often struggle with our girls and women being encouraged to be active and strong. As a nod to this ancient Spartan culture, my business partner and I named our women’s fitness magazine GORGO after the Spartan queen whose name was Gorgo. Historians believe that the Spartan women had more live births and lower infant mortality than their ancient Greek counterparts because they were healthier when they conceived and ate better during pregnancy. Fast-forward more than 2000 years, and science continues to confirm what the ancient Spartans already knew. Newer PostFirst Trimester: What's Safe?